The Northern Ireland Secretary, Peter Hain, has announced that the government no longer recognises the Ulster Volunteer Force (UVF) as being on ceasefire. 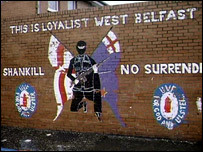 But what exactly is the UVF? 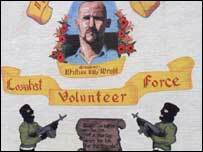 The Ulster Volunteer Force was formed in 1966 to combat what it saw as a rise in Irish nationalism centred on the 50th anniversary of the 1916 Easter Rising. In May 1974 the UVF was suspected of planting bombs in Dublin and Monaghan killing 33 people and in 1975 they shot dead three members of the Miami Show Band. In October 1975 the UVF was undermined when soldiers and police swooped on houses in Belfast and East Antrim and arrested 26 men. The following March they were sentenced to a total of 700 years in prison. 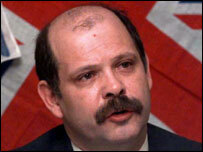 The police got more evidence in 1983 when a UVF commander turned informer. In recent months the simmering feud between the UVF and the LVF has boiled over again with several murders in and around Belfast.